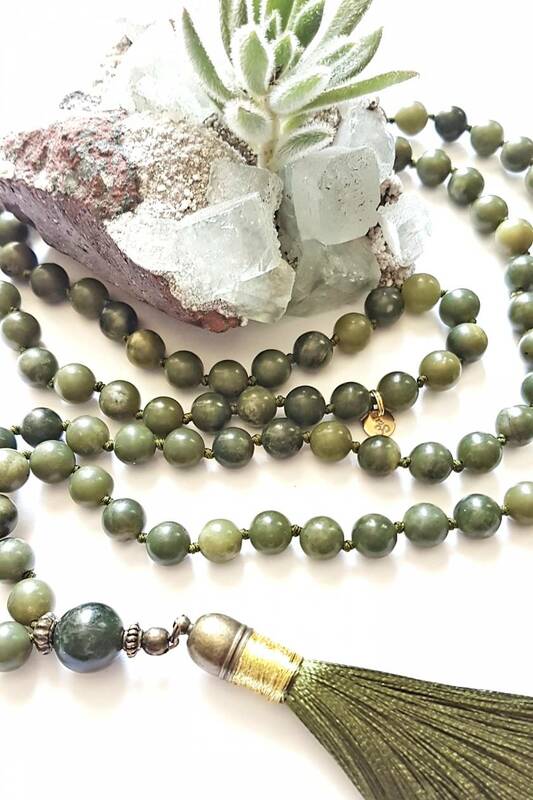 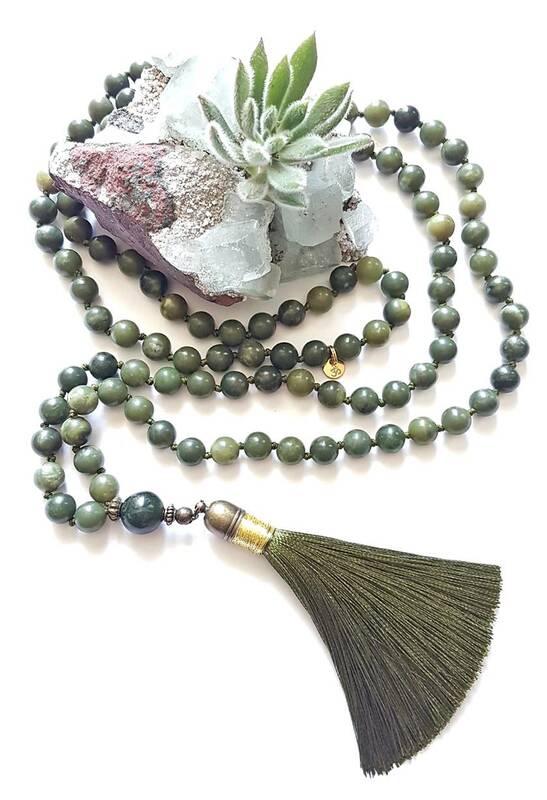 This 108 bead greenstone (nephrite jade) mala is absolutely stunning. 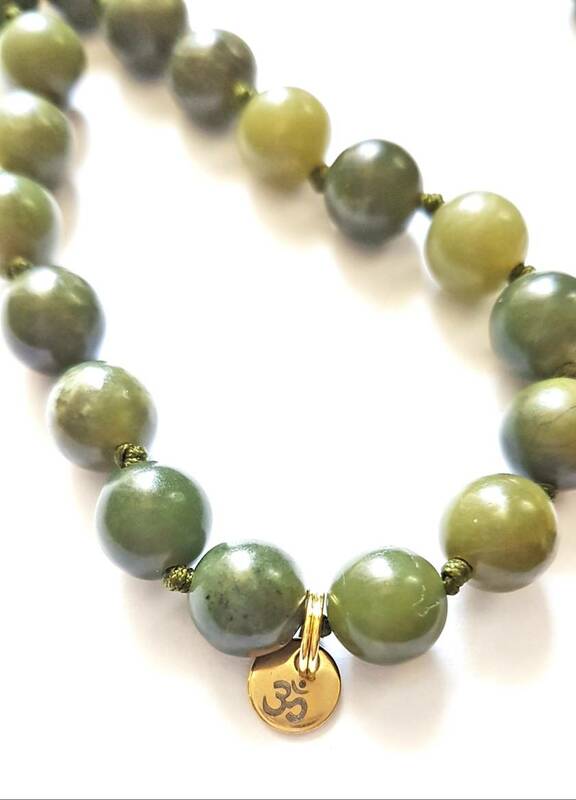 The stones are 8mm in diameter and are hand knotted on durable green nylon knotting thread (I do not use silk or natural fibres to knot my gemstones as the stones will cut through the thread in no time at all). 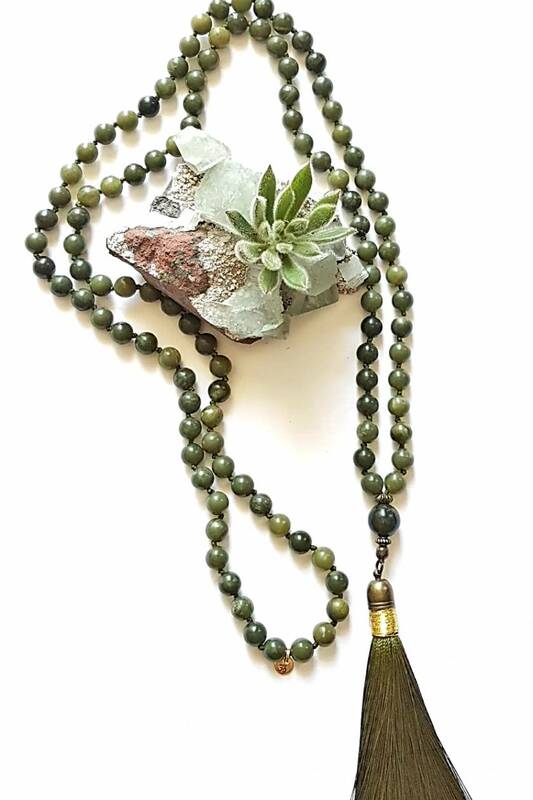 A larger 'guru' bead, bronze toned findings and long fat green and gold tassel finish off this beautiful piece.